Mexico is host to approximately 10% of all plant and animal species in the world. Only Brazil and Indonesia have more species. Unfortunately, many plant and animal species are endangered with extinction due to man-made threats such as agriculture, cattle ranching and illegal trade. To protect its biological heritage, Mexico has implemented a National System of Protected Areas, covering most ecosystems throughout the country. The first one corresponds to the large ejido forest extensions (‘ampliaciones forestales ejidales’) located in the West of the Reserve that were given in the forties to some already existing ejidos for the extraction of chicle when several large estates were expropriated. 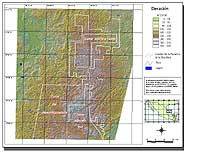 These extensions have an average surface area of 60,000 ha, most of it unexploited and uninhabited (except Conhuas). Finally, the third category is a string of small ejidos (1,000 to 3,000 ha) denominated new ejido population centers (‘nuevos centres de poblacidn ejidal’), that were created in the seventies and the eighties to accommodate the vast immigration. They occupy two strips, one in the East of the Reserve, the other in the East-West central corridor (around the main EscG.rcega-Chetumal road). They are the more densely populated, and their communal forested areas do not exceed 500 ha. 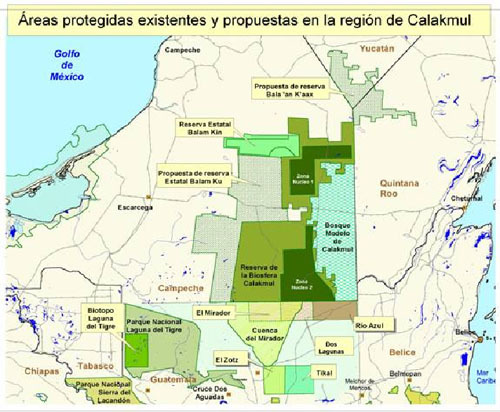 Friends of Calakmul currently works with the first category of ejidos, working to consolidate the remaining large blocks on intact rainforest and to provide sufficient habitat to maintain viable populations of jaguars in the Calakmul Biosphere Reserve. It is the second largest protected area in Mexico, covering 1,786,000 acres of rainforest. 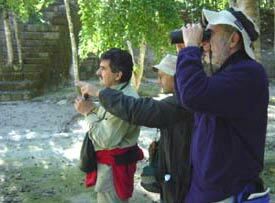 There are 350 species of birds that either inhabit or migrate through Calakmul, which is 33% of all bird species in Mexico. Over 100 of them are considered endangered. It is the heart of the great Selva Maya Rainforest, the second largest rainforest in the Americas after the Amazon. The Selva Maya links the Mexican forests of the southern Yucatan with Belize and Guatemala. Satellite maps are necessary tools for landscape analysis. Information in these maps helps scientists and conservationists to understand the patterns and effects of human intervention. When combined with field research on animals and plants and community participation, plans for sustainable land use and management can be developed. Click on a map to open a separate window to see a larger version. Warning: These image files may take a minute or so to load on slower modem connections. This map shows existing jaguar range superimposed over regions of Mexico where jaguar populations have a varied survival probability. This map shows regions of deforestation (light blue) around the Calakmul Biosphere Reserve. 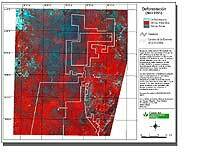 This map shows the topography of the Calakmul Biosphere Reserve. 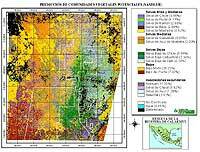 This map shows the different types of vegetation in and around the Calakmul Biosphere Reserve. An estimated 15,000 jaguars remain in the wild. There are only 6000 jaguars in north and central America, half of which are found in the Calakmul region, which includes the southern Yucatan of Mexico and surrounding areas of Belize and Guatemala. 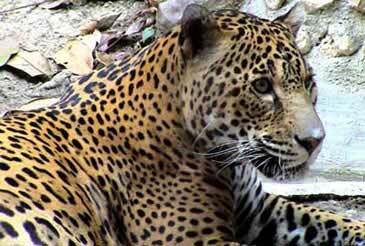 It is estimated that there 500 jaguars in the Calakmul Biosphere Reserve. This is the second largest population north of the Amazon. 1. 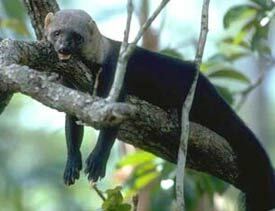 The Mexican goverment (SEMARNAT) considers to Panthera onca as endangered species (Peligro de extinción). SEMARNAT. 2002. Norma Oficial Mexicana NOM-059-ECOL-2001. Protección ambiental - Especies nativas de México e flora y fauna silvestre - Categorias de riesgo y especificaciones para su inclusión, exclusión o cambio - Lista de especies en riesgo. Diario Oficial de la FedEeración. Miércoles 6 de marzo 2002:95-190. 3. USFWS Threatened and Endangered Species System (TESS) consider to jaguar as endangered in all his distribution. Man-made habitat loss and fragmentation due to cattle ranching, agriculture, urbanization. Jaguars continue to be hunted illegally. Jaguars are one of the most majestic animals in the world. To some, jaguars look very much like leopards but they are sturdier and heavier. The easiest way to distinguish a jaguar from a leopard, besides the jaguar’s much more powerful build, is by the rosettes. The rosettes on a jaguar’s coat are larger, fewer in number, and usually darker with thicker lines that enclose smaller spots. The head of the jaguar is rounder and it has shorter, stockier limbs. Because of this the jaguar is sometimes referred to as the “bulldog” of the cat world. Jaguars vary from 5.3 to 6 feet (1.62 to 1.83 m) in length, including a 30 in (0.76 m) tail. They stand around 67 to 76 cm (27 to 30 inches) tall at the shoulder and weigh between 56 and 96 kg (124 and 211 lb) with larger individuals, recorded by scientists, weighing between 131 and 151 kg (288 to 333 lb). Females are typically twenty percent smaller than males. Jaguars in southern Mexico and Central America are typically smaller--56 kg and 40 kg (123 lb and 90 lb) for males and females respectively. The jaguar is the third largest feline in the world, after tigers and lions, and the largest feline in the Americas. Jaguars have lost two-thirds of their original range in Mexico and Central America and one-third in South America. In Mexico they can be found in the Calakmul Biosphere Reserve and the Maya Biosphere Reserve (a rainforest that extends into Guatemala and Belize) and in the states of Tamaulipas, Colima, Nayarit and Chihuahua. Jaguars roam the Cockscomb Basin Wildlife Sanctuary in Belize. 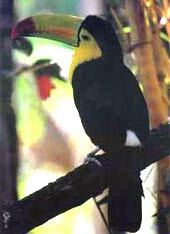 They can be found in Nicaragua, Honduras, Costa Rica, Panama and Colombia. They have an important presence in the Amazon Basin (comprising Venezuela, Peru, Bolivia and Brazil) and the Pantanal (vast wetlands shared by Brazil, Bolivia and Paraguay). Jaguars, on rare occasions, are seen as far north as the southwestern United States, particularly in Arizona, New Mexico and Texas. In the early 1900s, the jaguars' range actually extended as far north as Southern California and western Texas. As recently as 2004, wildlife officials in Arizona have photographed and documented jaguars in the southern parts of the state. Presently it is unclear whether recent sightings indicate whether there is a permanent population developing in the Southwest or that these cats are simply transients straying over the border from Sonora, Mexico. However, jaguars are a protected species in the United States under the Endangered Species Act and are considered nongame, therefore making it illegal to shoot a jaguar for its pelt. Fossils of jaguars from as far north as Missouri confirm these cats inhabited much of the Southern United States during prehistoric times. These prehistoric jaguars were significantly larger than the jaguars of today. Wild jaguars can live between 12 and 16 years. Jaguars in captivity live up to 20 years. The average litter size is one to four cubs. Cubs remain with their mothers for two years. The jaguar's habitat ranges from the rain forests of South and Central America to marshy and even desert terrain in Mexico, but they are rarely seen in mountainous regions. Known for their strong swimming abilities, the jaguar is one of the few cats besides tigers that enjoy water. They often prefer to live by rivers, swamps, and in dense forest with thick cover for stalking prey. The jaguar prey base is diverse, including such species as peccaries (wild pigs), capybaras (large rodents), deer, sloths, caymans, tapirs, freshwater fish and smaller animals. They occasionally prey on domestic livestock, a reason why they are targeted by ranchers. The jaguar uses a different killing method than most cats to kill its prey. Instead of biting the neck, to suffocate or sever the spinal cord, the jaguar delivers a fatal bite directly to the skull, piercing the brain. It is because of this killing technique that jaguars often break teeth as they progress in age. Jaguars eat from 10-70 pounds (5-32 kg) of food daily. Jaguars stalk and ambush their prey, often dragging carcasses to safe locations some distance away before eating. They are excellent swimmers and climbers. Instead of roaring, jaguars growl and snarl. They are solitary animals and tend to live in caves and canyons close to a source of freshwater. The name Jaguar is given to the brand of a luxury car. The jaguar is the mascot of the NFL's Jacksonville franchise. Mac OS X 10.2 had the codename "Jaguar." The jaguar serves as the mascot for the following colleges & universities: Southern University-Baton Rouge, Spelman College, University of Southern Alabama. Of all the large cats of the world, jaguars are ecologically the least known. Friends of Calakmul works in partnership with the National Autonomous University of Mexico that has been tracking and radio collaring jaguars for 10 years. In one UNAM study, evaluators examined the the population ecology and conservation status of jaguars in the Calakmul Biosphere Reserve. They captured eight jaguars, five males and three females, and radio-tracked them from 1997 to 1999. Home-range size for four jaguars was on average 41 km2 with a range from 32 to 59 km2; males have larger home-ranges than females. They estimated a density of 1 individual per 15 km2, indicating an estimated population size in the reserve of 482 jaguars. 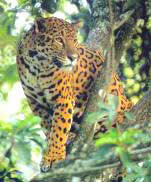 The jaguar population size in major forest reserves (> 1 000 km2) in the Mayan region, that is southern Mexico, and northern Guatemala and Belize was estimated at 2 000 individuals. However, only reserves in Mexico and Guatemala were large enough to maintain a jaguar population larger than 400 individuals. These results have clear implications for the conservation of jaguars in Calakmul and the Mayan region, indicating that any strategy for their long-term maintenance has to consider the size and connectivity of reserves, the minimum population size of jaguars in specific reserves or sets of reserves, the incorporation as reserves of key areas for the movements of jaguars, and the conservation of the semi-natural matrix of forest remnants and human dominated habitats through incentives in order to reduce reserve isolation. Friends of Calakmul is working to protect critically important and threatened large blocks of rainforest in the Calakmul Biosphere Reserve in order to ensure the survival of a viable population of jaguars. Jaguars are considered an umbrella species, or a species that generally covers large areas in their daily or seasonal movements. They serve as "mobile links" at the landscape scale, through predation, seed dispersal or pollination. Protecting enough habitat and connectivity to assure viable population of jaguars benefits the 60,000 other species that depend on the Calakmul region for their survival. One World Journeys: Tracking the Jaguar Dr. Ceballos’ Diary!! "Phantoms of the Night." National Geographic, May 2001.